Since this outfit was inspired by the accessories, I figured I would start with the accessories. 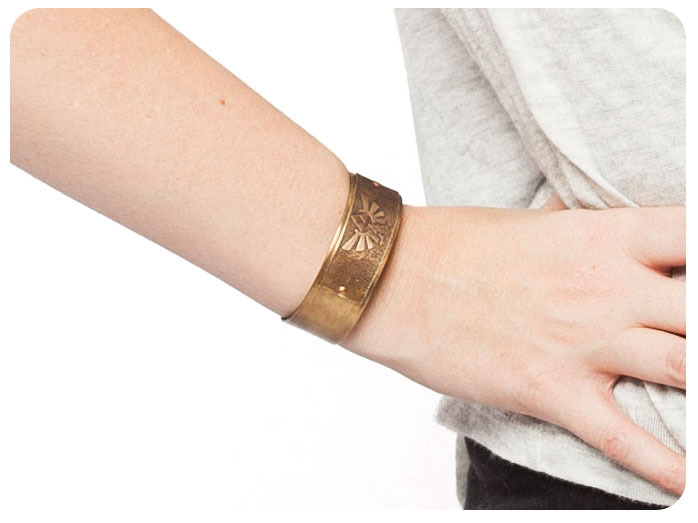 Like I said above, I found this amazing brass cuff by linsgeekery. Unfortunately, it looks like the shop no longer exists, but I did find this great leather cuff by deadlance. Even better, he offers custom dye colors for the leather and logo! 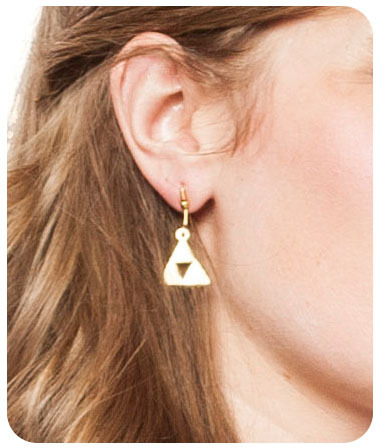 I picked up some triforce earrings from Sanshee. Another option from Sanshee are these Navi earrings or you could head over to etsy and find some options like these bronze Zelda swords, these Hyrulean shield earrings, or these engraved triforce studs. 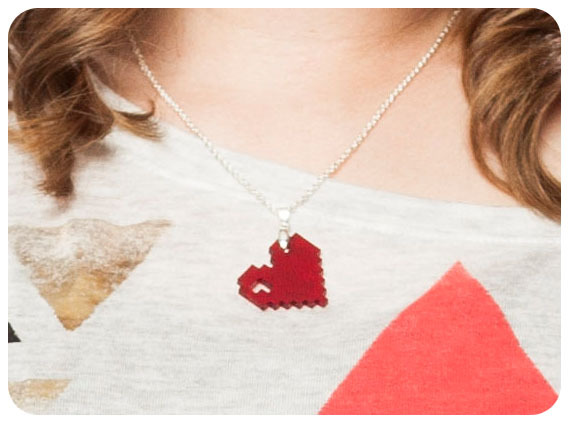 I re-wore my 8-bit heart necklace that I showcased in this Stunning Style post. I also love the look of these heart friendship necklaces by GeekOUTlet. This top was completely a lucky find. After purchasing the cuff, I was on the lookout for a cute top and stumbled upon this one at Forever 21. I’m pretty sure it was unintentionally geeky, but I loved that fact about it. As if often the case with our posts, this item is no longer available. 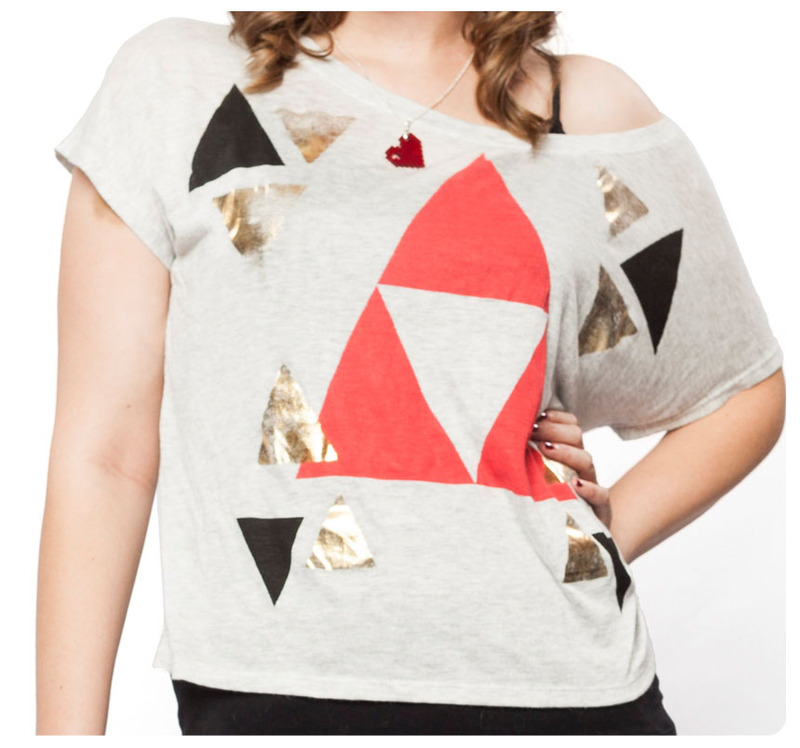 You can, however, pick up a Zelda shirt at Hot Topic, or this crop top from SoEffingCute. I layered the shirt over a basic black tank. I wanted to mimic the browns often seen in Link’s outfit, so I decided to with a pair of brown bermuda shorts. For a few variations of this look, you could wear a brown pencil shirt with a pair of white leggings, or so a little more casual with a pair of skinny jeans. The shoes I chose were just some cute wedges I had on hand. What I would love to pair with this outfit would be some cute brown ankle boots or knee high boots. 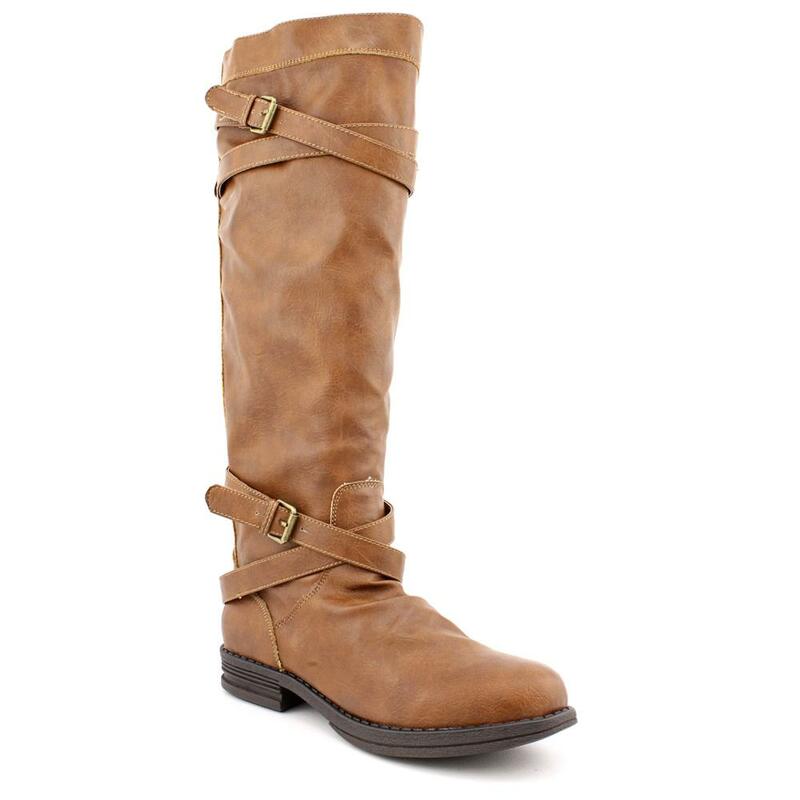 The boots would pay homage to Link’s look while also being chic. 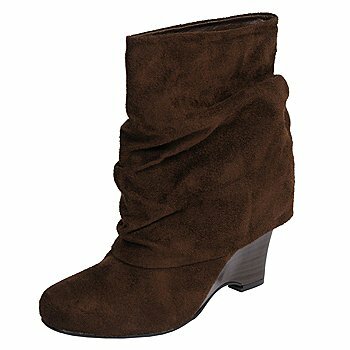 Here are a few of my favorite styles: brown slouch boots, heeled ankle boots, or faux leather knee high boots. Have you ever fallen completely in love with an item of clothing or accessory that you just had to build an outfit around it? Have you bought anything lately that you just can’t wait to show off? Share any of your finds our fun outfits with us here or on our Facebook page. Also, don’t forget to follow us on Instagram, username ‘settostunning’.